Last week when I shared the 12 baking gadgets you should own, a KitchenAid mixer was at the top of the list. 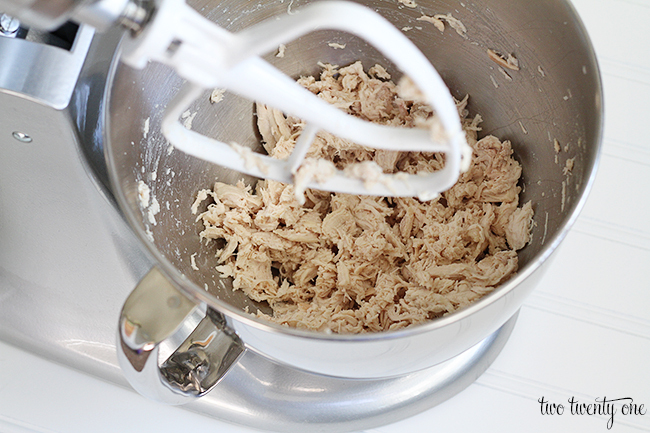 I also mentioned how I love using the mixer for lots of things, like shredding chicken. Some of you kept asking how I shred chicken with my KitchenAid mixer so today I’m showing you how. I remember the days when I used to shred chicken with forks and it would take me 10-15 minutes. 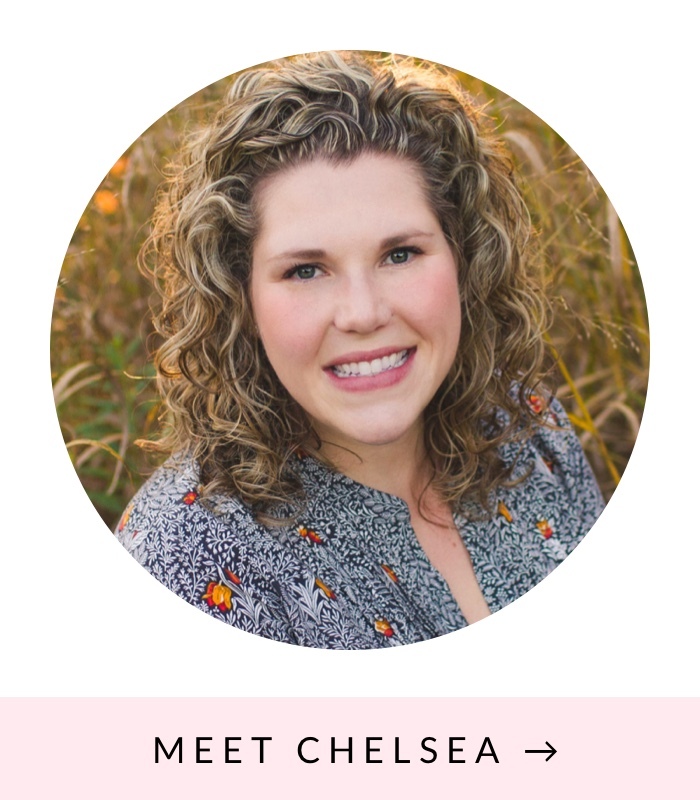 I got to a point where I avoided recipes with shredded chicken because shredding it by hand was so daunting– until a friend told me about the KitchenAid mixer method. Which takes seconds, SECONDS to shred five chicken breasts. 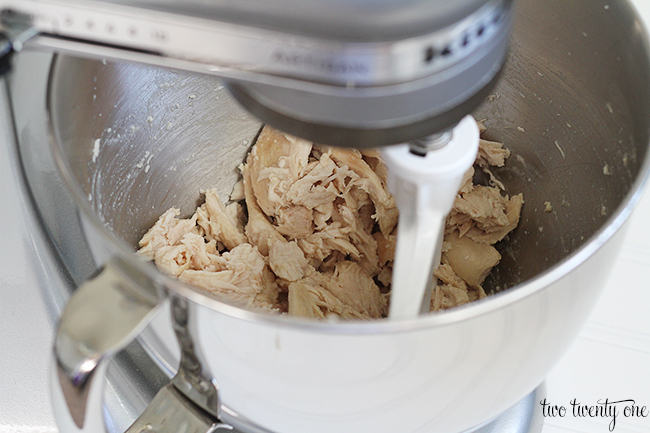 Without further ado, how to shred chicken with a KitchenAid mixer. Cook your chicken breasts. 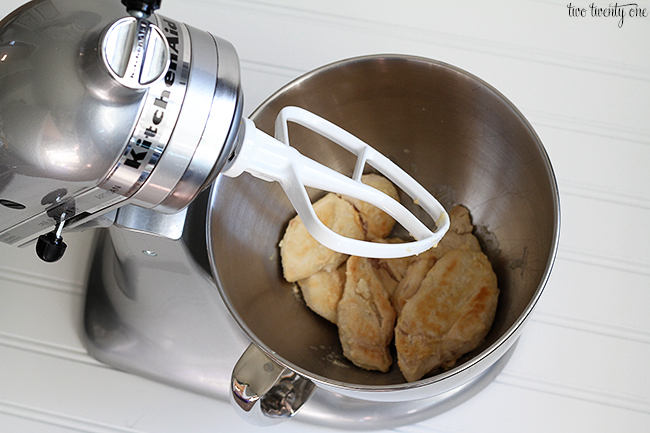 Put the chicken breasts in your KitchenAid mixer bowl. Use the regular paddle attachment. Turn the mixer on. I typically start with “stir” and amp it up to 3-4. Let it mix until the chicken is shredded to the consistency you desire. And seconds later, you have shredded chicken. If you want more control over the consistency of your chicken, only put two chicken breasts in at a time. Shred the chicken. Take it out. And repeat until all of your chicken is shredded. Be honest, who’s cooking up a recipe that involves shredded chicken tonight so they can try this out? Huh. That’s awesome! I had no idea you could do that. Thanks for the tip! What?! 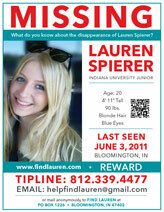 How did I not know about this until now?? Fantastic! Genius! Now, I need to make chicken just so I can do this. would have never thought of this! I need that blender! It seems so versatile! And that surely beats doing it with a fork which ironically I did last night:)!! Awesome. I actually have some Chicken Tortilla Soup in the crockpot that needs shredded chicken – thanks!! I wish I had read this last night! I will definitely remember this for next time!! OMG serious?! I NEED a stand mixer, this is awesome! What a great tip! I had no idea you could do this…definitely going to try it! Yet another reason why I need a KitchenAid! My hands always cramp up when I have to shred chicken! I started shredding chicken this way a few years ago. It really is a life-changing tip! Why do I not have one of these yet? What am I waiting for?!! Brilliant! I wish I would have seen this two hours ago! I sliced chicken for enchiladas because I was feeling to inpatient to shred it like normal. The Kitchen Aid was sitting a foot away, but it had never crossed my mind to use it for chicken. Thanks! I saw this on Pinterest a few months ago and now it’s the ONLY way I shred chicken (or other meats, like pork)! It works perfectly every time! I could have totally used this yesterday as I was hand shredding chicken for my Southwest Chicken Soup! Trying this next time for sure!!! Just did chicken specifically so I could try this! Worked perfectly! Thanks!! This is simply awesome. I had poached chicken a couple days ago for crockpot enchiladas tonight, and just tried this. It wanted to toss some out of the bowl, but that was user error and overzealous speed. 🙂 Thanks for the post on this! I actually just learned how to shred chicken with even less elbow grease and without a Kitchen Aid Mixer, just takes a bit more time. I toss an entire bag of frozen chicken breasts in the crock pot and cook for several hours on high. No need to add water or anything else. Cook until your chicken literally falls apart by stirring. Voila! Works great, but make sure chicken is still quite warm. Once cold, it won’t shred. So awesome! 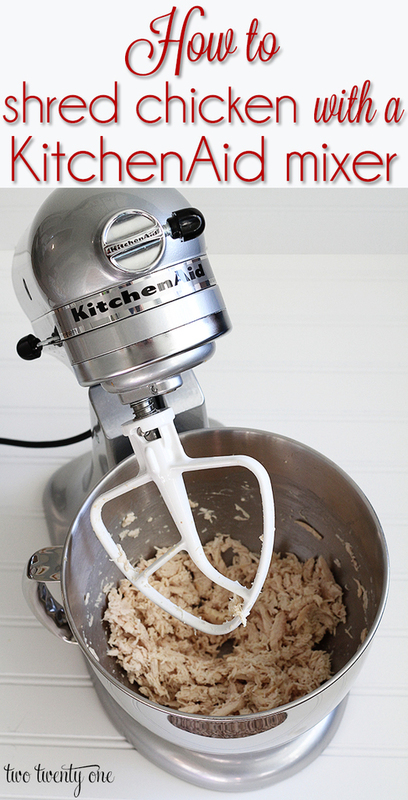 We’re getting a Kitchenaid mixer for our wedding, so I am excited to see there’s more use for it than just making me cookies and cakes, haha. Doh! Great, simple idea… I can’t believe it’s never occurred to me, ever, at all, before! I did this the other night after seeing this pin! I feel like complete idiot doing it by hand forever. Thank you so much. You probably added years on to my life. Has anyone tried it with pork? can I shred chicken with a regular mixer????? No clue. But you can try. I’m late to the party but trying this tonight!!? Hey! What color is your kitchen aid mixer!? I needed shredded chicken for Buffalo Chicken Dip and remembered seeing this post. What a blessing. 3 large chicken breasts shredded in a few minutes. Awesome? Thanks! I thought when I read a recipe it said to shred in the food processor, or at least that’s what my brain intake was. Glad I reread and then found your instructions. I’ve owned a kitchen aid for about a hundred years. I’m now making instapot chicken, 4 batches, then shredding and going to freeze in 1 cup quantity’s.